The International Baccalaureate Programme aims to develop inquiring, knowledgeable and caring young people who help to create a better and more peaceful world through intercultural understanding and respect. To this end the organization works with schools, governments and international organizations to develop challenging programmes of international education and rigorous assessment. These programmes encourage students across the world to become active, compassionate and lifelong learners who understand and accept each other’s differences. 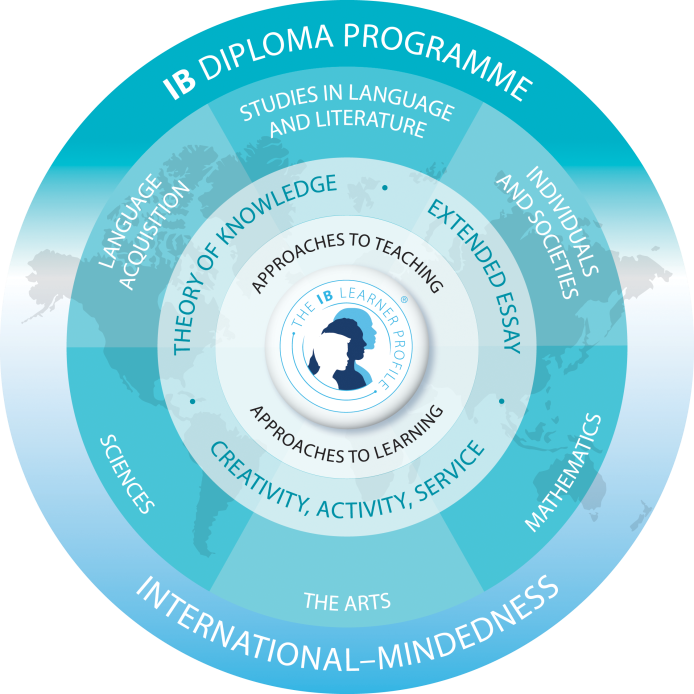 The International Baccalaureate Diploma Programme is a rigorous pre-university course of studies that meets the needs of highly motivated secondary school students who have completed their first two years of secondary education. The curriculum comprises six academic areas and Diploma Programme candidates are required to select one subject from each of the six subject groups. At least three, and not more than four, are taken at the higher level (HL), the others at the standard level (SL). The Diploma Programme at our school is available in English. 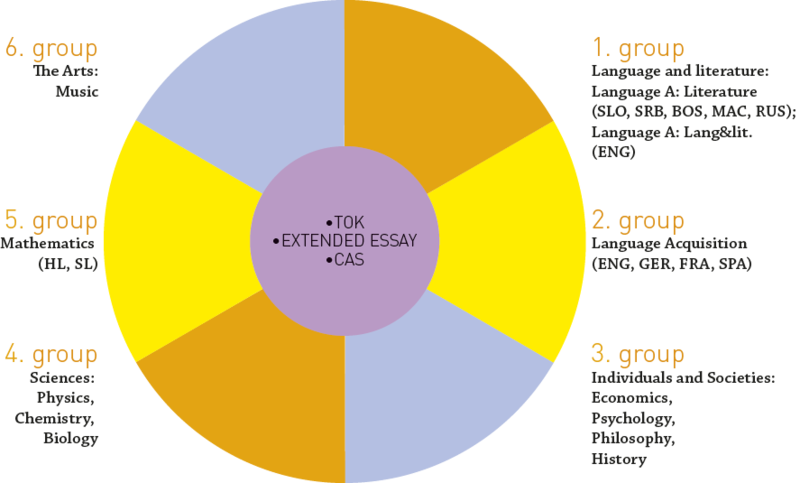 Successful Diploma Programme candidates meet three requirements in addition to the six subjects. The interdisciplinary Theory of Knowledge (TOK) course is designed to develop a coherent approach to learning, which transcends and unifies academic areas and encourages appreciation of other cultural perspectives. The Extended Essay of no more than 4000 words offers the opportunity to investigate a topic of special interest and acquaints students with the independent research and writing skills expected at university. Participation in the creativity, activity, service (CAS) requirement encourages students to be involved in creative pursuits, physical activities, and service projects in the local context. Students take written examinations at the end of the programme. Further, on scholarships, many students from former Yugoslav countries enrol in the IB DP every year, adding to the school’s international character and vibrancy. The results of our IB students are excellent, making II. gimnazija Maribor one of the most academically successful schools in Slovenia.